MABASO AIMS TO BE BAFANA REGULAR! 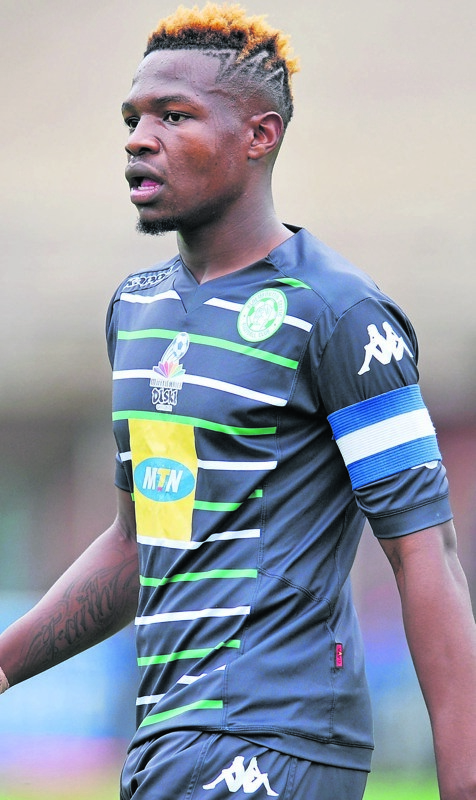 BLOEMFONTEIN Celtic’s MultiChoice Diski Challenge captain Tshegofatso Mabaso, who has now graduated to the senior team, has his mind set on solidifying his place in the Bafana Bafana lineup. The 21-year-old Mabaso, who has been a regular in Owen Da Gama’s SA Under-23 team, has received his first Bafana call-up and was ecstatic about the chance to feature for the senior national team. He expressed his excitement and appreciation to coach Stuart Baxter for considering him for crucial upcoming matches as Bafana gear up for the first of their two-legged African Nations Championship (Chan) qualifiers against Zambia at home. The first leg clash of the third and final round will take place on 12 August at a venue yet to be confirmed. The return leg will be played in Zambia on the weekend of 18-20 August. Mabaso, who hails from Botshabelo in Bloemfontein, has promised not to disappoint after his addition to Baxter 25-strong squad, “as this is where my future lies”. Baxter named his squad to face Zambia yesterday, making made five changes to the lineup that knocked out Botswana. “This is good, very good for me,” said Mabaso during a lunch break yesterday. “This is my first call-up. As a striker I need to score as many goals as possible to enhance our chances of qualifying for the next stage of the tournament. However, he will have to fight for a place against the strike force trio of Gift Motupa, Ryan Moon and Bonginkosi Ntuli. Mabaso impressed for the U-23s in friendly matches against Sudan and Palestine last year. He is not the only newcomer in the squad, as he is joined by Ajax Cape Town’s Under-20 star Masilakhe Phohlongo. Kaizer Chiefs goalkeeper Bruce Bvuma has been recalled to the Bafana squad as Khulekani Kubheka falls away. Defenders Denwin Farmer of SuperSport United and AmaZulu’s Ayabulela Konqobe return to the team in the place of Malebogo Modise and Junaid Sait respectively. SuperSport midfielder Teboho Mokoena is also back in the squad after he was withdrawn before the second leg of the Botswana clash at Moruleng Stadium. Bafana go into camp on Sunday. The overall winners will qualify for the Chan tournament proper, which is set to take place in Kenya from 11 January to 2 February next year. A total of 16 teams will qualify to play in the final tournament. Only national team players who play in their country’s own domestic league are eligible to compete in the African football showpiece.